Stars of the "Harry Potter" films walked the red carpet Tuesday night during a preview gathering for "The Wizarding World of Harry Potter" attraction at Universal Studios Hollywood. Oscar-winning composer John Williams was at Tuesday night's event to conduct a performance by the Los Angeles Philharmonic. A handful of stars from the "Harry Potter" film franchise also were on hand, including Warwick "Professor Flitwick" Davis, Tom "Draco Malfoy" Felton, Evanna "Luna Lovegood" Lynch, and James and Oliver Phelps, who portrayed Fred and George Weasley. The much-anticipated attraction includes a recreation of Hogwarts School of Witchcraft and Wizardry, with features such as Professor Dumbledore's office, the Portrait Gallery and the Defence Against the Dark Arts classroom. The surrounding Hogsmeade village includes shops such as Honeydukes, Owl Post, Wiseacres Wizarding Equipment, Dervish and Banges, Gladrags Wizardwear and Filch's Emporium of Confiscated Goods. 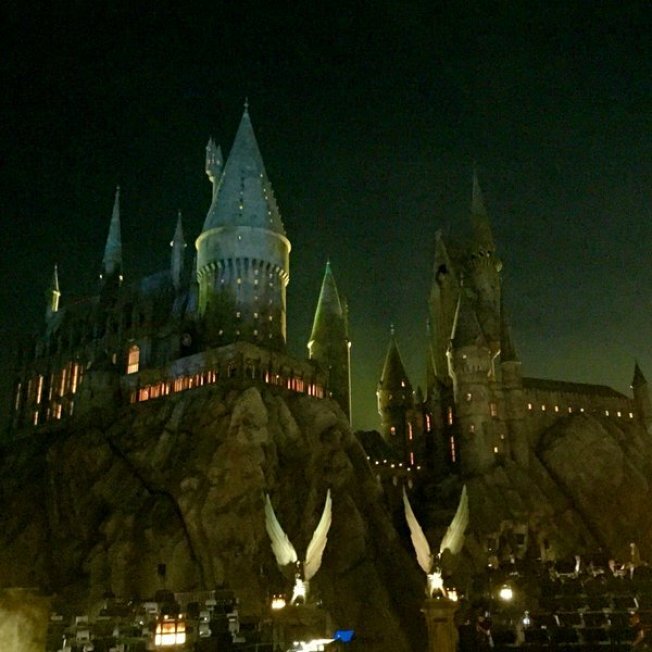 The attraction features two rides -- the 3-D "Harry Potter and the Forbidden Journey" and Universal Studios Hollywood's first outdoor roller coaster, "Flight of the Hippogriff." A virtual tour is available online at www.universalstudioshollywood.com/wizardingworld. Fans hoping to be among the first to visit the attraction can buy tickets in advance on the park's website.